Anonymous, 13 Dec 2012no flashlight????? It has a flashlight. Anonymous, 07 Dec 2012Hi! may I ask if it has torch??? Thank You!Yes it has a torch. somebody please help, i cant open my inbox(only inbox in messages), whenever i select it the phone restarts itself, anyone have a solution? 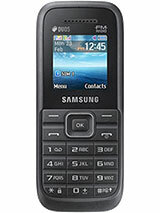 samsung e1200 or nokia 1280? Luis, 19 Nov 2012This is an excellent budget phone! If you are looking for a very cheap phone that you can use ... moreHi! may I ask if it has torch??? Thank You! There is Reminder option If have there tell me guy???? i am having this phone but problem is this phone restart a lot even i can't factory reset the phone is there any help guys ???? This is an excellent budget phone! 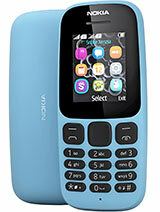 If you are looking for a very cheap phone that you can use only for texts and calls, then this is it. The battery lasts for 4-6 days even when I use it a lot. Message capacity is really low, though, so you need to clear your inbox from time to time. My only complaint is that it "lags" when I type very fast sometimes. Overall, great value for money. Very durable, too! yogi, 13 Nov 2012guyz, does your phone supports characters such as ñ and ü? coz mine doesn't and i'... moreit's not really applicable even in other countries. just bought this phone, and love it. is it possible to install any wallpaper? guyz, does your phone supports characters such as ñ and ü? coz mine doesn't and i'm residing here in the phil. is all E-1200 has torch light? or small flashlight on its upper left/right? and in it's application button..
does the Converter spelled as Convertor? is it fake or real E-1200?